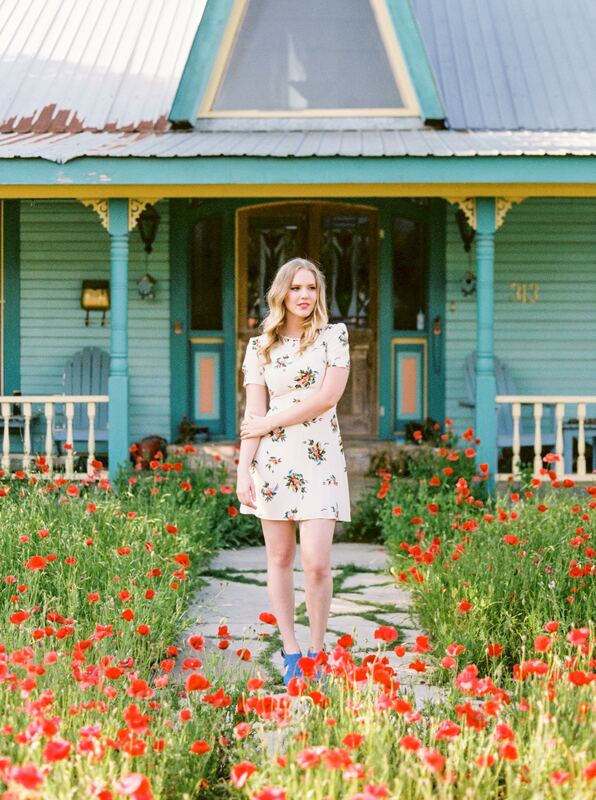 Leah Nobel discusses her new EP, Music Licensing and making the move from Austin to Nashville. Following a successful year including “Ride The Butterfly” taking first place in the Pop category of the 2014 Indie International Songwriting Competition as well as “How To Behave” being featured in The Girls Guide To Depravity on Cinemax, Arizona native, Leah Nobel decided to double down releasing two EP’s in one year following a successful Kickstarter campaign. The first, Strangers Again, with its melancholy vibe is familiar territory while the recent release Just Like Sunday has more of a summer time feel that also features some stretching stylistically for Leah. Leah just recently moved to Nashville after spending several years in Austin. This isn’t her first experience with Nashville, Leah started making the trek here in 2009 working with Producer Mark Prentiss and they have worked on three projects over the last few years. Leah began work with Austin area Producer Keith Gary earlier this year and completed both projects before making the move to Nashville to focus on a more dynamic methodology to get her music out there. The music business infrastructure is what sets Nashville apart and gives Artists like Leah the opportunity to be more collaborative musically and in presentation. The first single being released is “You Got Me So Good” which adds a new texture to her repertoire with its retro Soul ala Amy Winehouse Back To Black girl group vibe meets Tracy Nelson (Mother Earth) vocals. Brad Hardisty / The Nashville Bridge: How was the gig the other night at The Basement? 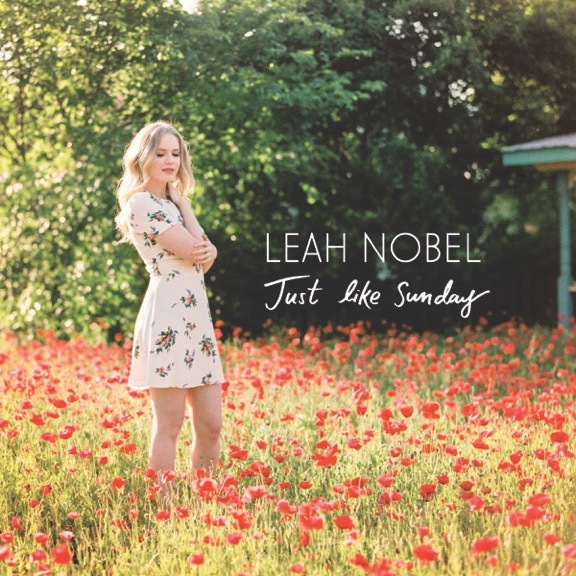 Leah Nobel: It was great. We had a pretty good turnout that night. Was it a Songwriter Round style show? It wasn’t a Songwriter’s Round. There were five of us that played on Sunday so we did about a 35-45 minute set and it was great. It was really great. Did you preview some of the new material that came out? Yeah, so , Sunday was the start of my national release of my new EP that came out the 15th. We played a lot of stuff off of that record. I don’t know if you’re familiar with what I did this year but I released two EP’s six months apart. I saw that you had a good Kickstarter campaign and you are working with the same Producer? Yeah, I worked with the same Producer. We played a little bit of both the first EP and the second as well. I did read that 2014 was a successful year. I guess you decided to crank it up and put out some material. Yeah, well it was really time to make a new record but I decided I didn’t really want to do it in a conventional way. I sort of made some observations of how the music industry is changing and the way people consume music is changing. I wanted to do this double project so that I could do two separate projects with two different flavors and have them both come out in a year. It is kind of nice to have the time between because it kind of keeps people engaged now. The two EP’s; are they thematically totally different or musically? Yeah, thematically they are totally different. The idea was to showcase two different styles of writing that I like to do which is I love to write sad music, you know, more melancholy songs so the first EP that came out, Strangers Again was my melancholy piece. The second [Just Like Sunday] EP, which came out last week is a super light, upbeat, sweet, Pop album. Definitely, there is a thread of continuity between them. You can tell that they are part of a project but, thematically you have the dark and the light. Okay, so Strangers Again is kind of an introspective piece whereas Just Like Sunday is more of a go-to “summertime” music style. It’s called Just Like Sunday because I just felt like these songs were songs that reminded me of the weekend or reminded me of music that I listen to on Sunday when I’m just kind of hanging out or cleaning my house. The second record was designed to be simply sort of fun and sweet. Tell me a little bit about your Producer? His name is Keith Gary [Mike Meadow, VELO, Ray LaMontagne, Coldplay]. He produced both records and he is based out of Austin, Texas. Ok, so you’re based out of Nashville as far as living, but you’re still tied to Austin as far as production? I was going to say from some of the reviews I’ve seen, you’ve got a lot of support in Austin. They still see you as a hometown person. Definitely, yeah. I moved there for four years. I just recently moved to Nashville so, Nashville isn’t quite my home yet. Not yet, at least. You’ve moved around some, where did you start performing? I’m from Arizona so that’s where I started performing. You got involved in a Café scene. You’ve talked about a couple of artists that you were into in California. How did that get things kicked off for you? I started listening to music when I was a teenager kind of falling into that café scene. I didn’t discover them from going and seeing shows. I did through the internet and at that time I had just begun to write music and I didn’t really know what I was doing, where I wanted to head, sort of stylistically. I was definitely really inspired by artists like The Weepies and artists like Joshua Raven and Ingrid Michaelson and people like that. What affected you the most as far as inspiration or your sound when you were living in Austin for four years? Yeah, well Austin is an amazing city, it’s got a really good edge. It’s got an eclectic group of people that live there. I think that during that time that I lived there, I grew a lot as a person and as an artist because there are so many amazing artists in Austin and they are very diverse stylistically. I had, just like, a lot of friends there who I played music with and went to their shows and what they were doing would have crept into my psyche and my ideas of recording and what I wanted to do with my music. It was just really cool to be surrounded by all those incredible Musicians and Artists. The cool thing about Austin is it’s a mixed bag because Austin is a really great place to play music and enjoy music and there are so many positive people there. So, now you are in Nashville. You can have your choice of publicists, getting your media out there and getting tours lined up. How do you find Nashville to be for you? How do you like it here? So far, so good. I mean, I’m from Arizona, originally, and living in Austin has some Southern influence to it but, Nashville feels very different, culturally, to me. I’ve never lived in the South, so, it’s beautiful but, it also has been an adjustment. So far, it seems really good. I have been getting involved in doing a lot of songwriting as far as licensing purposes for other people and there is really just a good creative energy here. There are a lot of people that are really working hard and it is really good to be around because it is motivating. Everybody has been really supportive too. I don’t play Country Music. I would classify my music as sort of Folk Pop. People have been really receptive to it, which is really great. I wasn’t sure, although, Nashville is expanding in terms of the genres that it supports. I wasn’t sure how my music was going to translate here and, so far, it has been really great. Who do you work with here in town? Well, I’ve been kind of travelling a lot and I recently moved here. The show at The Basement was actually my first show in Nashville. So, I don’t have yet a repertoire of people that I am performing with. I’m sort of in a state right where I am just trying to meet and network with as many people as possible so I can find my home, people to work with and people to play with. What’s the first song that you are pushing off the new album? It’s called “You Got Me` So Good.” It’s kind of a breezy Motown influenced track and it kind of turned into the perfect slow dancing song which is, kind of, something I really like. I’m really proud of that song. You had a mini tour planned that kind of fell through so, what are your future plans? We were supposed to go out with Eric Hutchinson and he was on tour with Kelly Clarkson and she ended up cancelling the rest of her tour because she was sick or she had vocal cord issues so, that tour ended up falling through which was a really big bummer. We don’t have anything concrete that we have announced yet. I’m really focusing on writing for licensing and getting involved with pitching my music and writing for television and film. That’s definitely a big thing that we’re focusing on right now, for sure. Also, we are starting to crack into the College scene. I graduated in 2010 but, it still feels like a pretty great place for my music. So, we are kind of figuring out how we want to approach that this year. Unfortunately, I don’t have any official dates that I can announce yet.. It sounds like you are getting a foundation going. That’s what I’m working on. You know, you have to rebuild when you move to a new city personally and also musically, I left my band and I left my fan base and everything in Austin so I have this wonderful new band here which has been great and like I said, I have just been focusing my energy on networking and writing and meeting people and kind of find my own base here. I think you’ll enjoy it here. It’s been really good, so far. I can feel it growing and changing more. I’m living in Germantown and things are getting built every day around me with new construction projects. 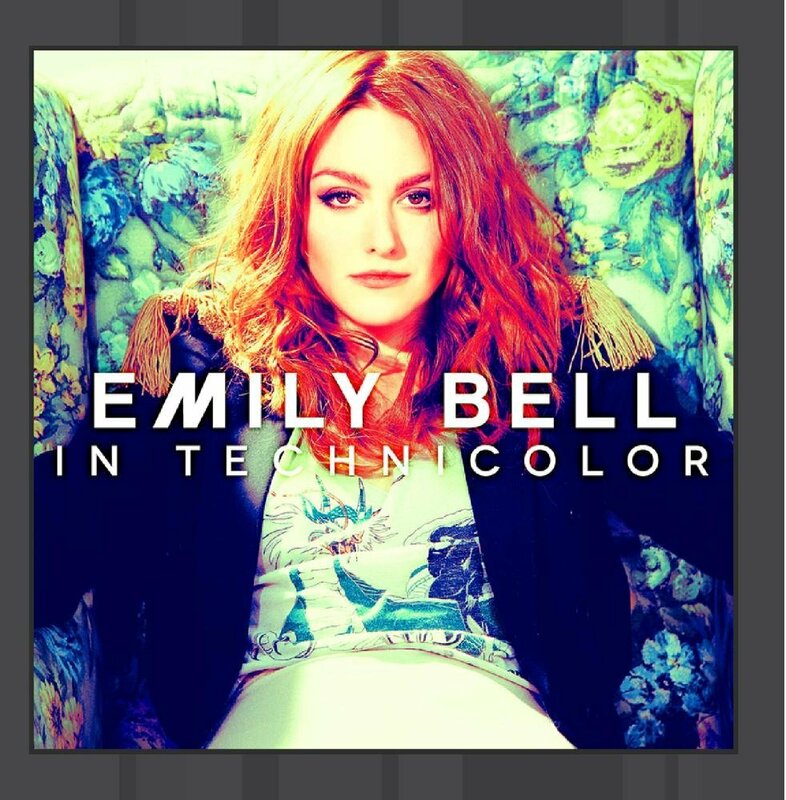 Austin based singer/songwriter Emily Bell has been spending a few days in Nashville getting ready for her set premiering her latest album In Technicolor featuring the single “Back The Way That I Was” Thursday night at The Basement with an early 7Pm set. The album shows a varied background since Emily has been involved in music and performance since growing up in Houston and attending Houston’s High School for the Performing and Visual Arts. Emily Bell spent some University time in New York City before eventually ending up out on the West Coast working with former members of Tony!Toni!Tone! cutting her teeth on multiple songwriter sessions for a long stretch at Raphael Saadiq’s Burbank Studio before returning to Texas and laying down roots in Austin with Co-writer and life partner, John Evans. 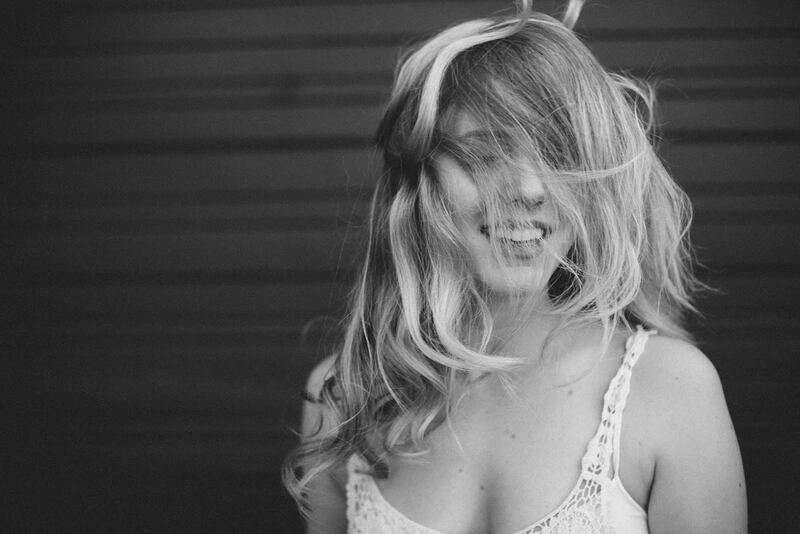 Emily combines “rootsy” soulful vocals reminiscent of Imelda Mae meets K.T. Tunstall and Elizabeth Cook with the visual beauty that ties her to the King of Rock & Roll with Elvis-era Ann Margaret looks and a sultry Lisa Marie Presley gaze. She is making her Nashville debut this week. Brad Hardisty / The Nashville Bridge: Have you been off tour for a few days? Emily Bell: Yeah, well I’ve had a couple of days off. I have been these past few days in writing sessions in Nashville. TNB: Really! So you have been in Nashville? EB: I am in Nashville right now. I am currently parked on the side of the road. I just picked up John Evans [Co-writer, partner] from the airport. He has writing sessions this week. TNB: When you talk about writing sessions is it for your own thing or doing something on the side for the publishing company? EB: This is stuff for my own thing. You know, while I am really busy with the tour and supporting this record, we’re starting the ground work of, you know, writing the new songs for the new record and I came to Nashville last month and met with a bunch of different publishing companies and they really helped me set up good sessions with some of their writers that I would really blend well with. It has been really great so far and I have been really excited to be writing again. TNB: Is there any writer in particular that you think is somebody you will definitely end up working with yet? EB: I am really excited to write with Mike Krompass. He was the drummer for Smashmouth and he has this Rock and Roll background. I am excited to get in and write with him. TNB: You will find all kinds of people here in Nashville. There are so many people moving here it’s crazy. EB: Yeah, I know. I’m definitely from a more Soul and Rock & Roll background, you know, and it’s cool getting to meet other people in Nashville and different writers that go against the grain a bit. TNB: I noted that you are pretty eclectic and I was looking at John Evan’s stuff and he seems more focused in sort of a Marshall Crenshaw kind of way. How do you guys work together as writers? Do you mainly write and then do arrangements with him? EB: When John and I first kind of ran into each other we kind of knew each other for a long time and I was very familiar with his music, but, we both just kind of collided and it was really a natural experience; how we write together. It comes up in so many different ways. I’ll come up with lyrics and he’ll come up with melody or I’ll come up with melody and he’ll come up with musical instrumentation. It is really organic the way we work together. His style and my style, they are very different but, we found a way to complement each other and almost create something very different and that was new to us. So, it’s really a great partnership and I’m always surprised and excited when we write together. TNB: The band you work with, is that The John Evans Band basically? EB: When we tour we share bands. I have some core musicians and he has some core musicians. When we are on tour we have the same players and it’s nice. We have been sharing the band recently. TNB: Are you going to stay in Austin, is that your hometown for now? EB: Yeah, you know Austin is a really great home base for us. We love that city and they have really embraced John and I and it’s also, it’s a great launching pad and getting to travel to Nashville and travel to New York and travel to L.A.; we are happy with that for now. I don’t know what’s going to happen in the future. I, for one, like to move around a lot. TNB: I noticed you have been between New York, L.A. and Austin and Houston. Have there been other places you have lived in? EB: Those are the primary places I have lived in. I lived in Oakland for a while. Between moving from L.A. to Austin, I took time off and I just wanted to just really get out and get my brain fresh so I travelled to India and I travelled around Southeast Asia for three months. TNB: Was India kind of a spiritual thing, like with The Beatles? EB: I mean it was more, it wasn’t a spiritual quest, it was more of… I didn’t go to Ashrams. I had been to Ashrams and I had visited the Temple. It was a spiritual quest in some way but, it was more of an adventure quest. I wanted to experience another part of the world and that is always spirituality in some form. TNB: Did you bring any instruments back with you? EB: No, oh my gosh, but, I wanted to. I had this man teach me how to play the Sitar. I mean, he gave me like an hour lesson. Those instruments are just so gorgeous. I mean they are huge and it is so expensive to bring those instruments back. I really wanted to though. TNB: What do we expect when you play at The Basement this week? Are you doing an in-store at Grimey’s before? Or, just doing the show? EB: I’m just doing the show at The Basement. This is kind of like my first time here. You know you first have to kind of break into the Nashville scene. It’s a slower process, so, we decided to just hit up The Basement and invite as many people out as we can and see what happens from there and hopefully once people get to see us they will want to book us more. TNB: Even though The Basement is small, if they agreed to have you there that’s good. They are kind of picky so that is a good choice. EB: I was really excited to do the show there. When they hopped on board I was really excited. TNB: Are you familiar with the Soul scene here in Nashville? EB: No, I’m not familiar with it. I’m not familiar with Nashville in general. I’m still new to this town. It’s exciting and I’m kind of learning something new about it every day. TNB: You ought to check out G.E.D Soul Records. There are a lot of retro-soul acts and they are all out of here, former students of Belmont University and stuff like that. There may be some acts you might want to book with next time. EB: That’s good information. We will look them up. TNB: They specialize in vinyl. If you go to Grimey’s and ask about G.E.D. Soul Records, they will have a whole section. EB: Very cool. I love that. Last time I was here I had to go to Third Man Records. I love what Jack White is doing with the 45’s, it’s so cool. So that was really cool for me. TNB: Did you record a song in the recording booth that presses records? EB: We wanted to, but, it was out of order that day. That was one of the biggest reasons for me going. TNB: Guess who was the second person to use that booth? EB: Oh God, wow, that’s amazing. TNB: Who do you guys gig with in Austin when you are back home? TNB: Oh cool, I like Rosie. EB: There is a long list of Austin musicians that I am still dying to play with. A lot of local Indie bands. I started out playing with The Happen-Ins. There is a band called The Couch. The first summer that I was there I was invited to start my own little music festival called Summer Camp that benefitted local non-profit organizations. It was my way to friend other musicians in the town. I was still so new and I thought why don’t I just…it was a whole long day event that happened every Sunday over the summer and we had an above ground pool and I had vamp counselors and we had this whole kind of Dazed and Confused summer camp scene and I booked about four bands every day and I just closed the night out and there were so many great bands that were on that. EB: That was a great project. Now, this is the first album that you and John Evans put together, right? TNB: I would say that it is really eclectic, kind of a blend going in different directions. The single reminded me of Bow Wow Wow, kind of Punk Rockabilly. Where do you see your stuff going? You are doing these writing sessions, is there a certain direction that you are going to start aiming for on the next record? Or, are you going to just kind of keep it where you want to go? EB: There is a definite direction I want to take with this new record. I’m a Rock & Roll girl at heart and I really want to bring that out in this next record. Without giving too much away, I definitely want something that is just rockin’ and kind of show that a female fronted rock band isn’t bad! TNB: Do you think it is still going to be more “Roots Rock”? EB: Yeah, I mean when I say Rock & Roll I mean “Roots Rock’. I think of the Rockabilly Artists and I also think of Led Zeppelin. I think of Tom Petty; just all the greats that have inspired me and have inspired the music that I write. TNB: I would say you are in a great place. I remember when I was in Texas I would just turn onto the Texas Chart channels just because it’s different than what you listen to anywhere else. It has a lot of Artists that are big in Texas like Joe Ely. You have some great flavor and you are working with a great partner, John Evans. EB: Thank you so much. John and I are very excited to write this next record.